Featuring detailed stone blocks and exquisitely-shaded garments and curtains, this pictorial tapestry from England memorializes ceremonial traditions. 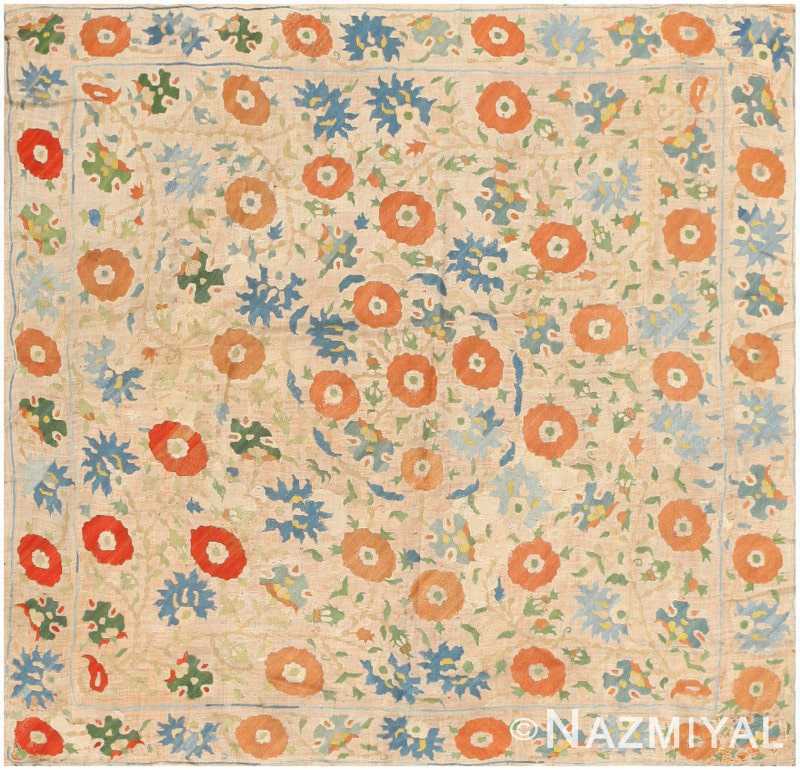 Antique English Needlepoint Rug, Country of Origin: England – Here is a beautiful and intriguing antique rug: a needlepoint carpet from England. This broad pictorial tapestry from England features a young nobleman performing a hand-washing ceremony with a silver ewer and basin at the close of a public healing performed by the reigning leader. In the background, residents talk excitedly about the previous events under a detailed stonework arch. 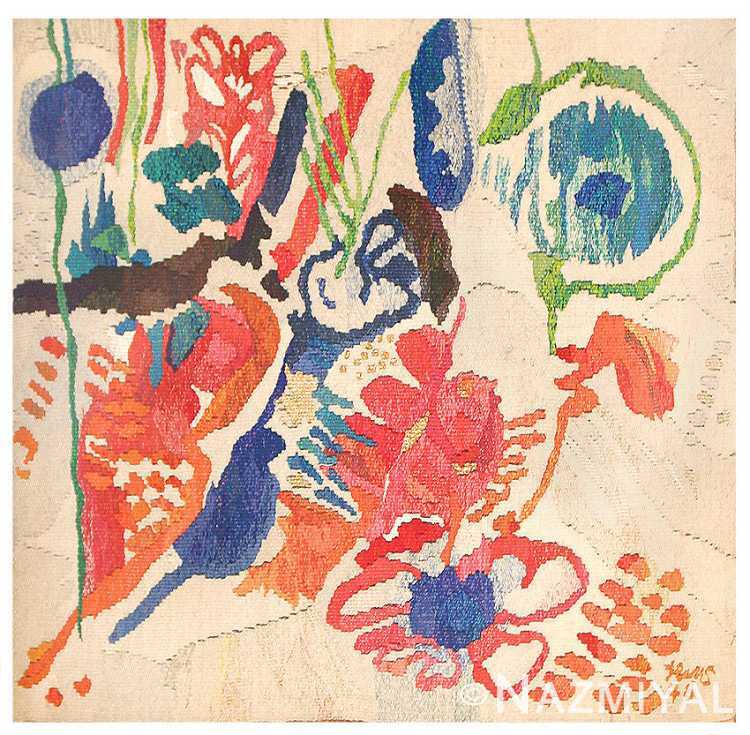 Antique rugs that depict a scene are most often used as textile art and tapestry rugs. 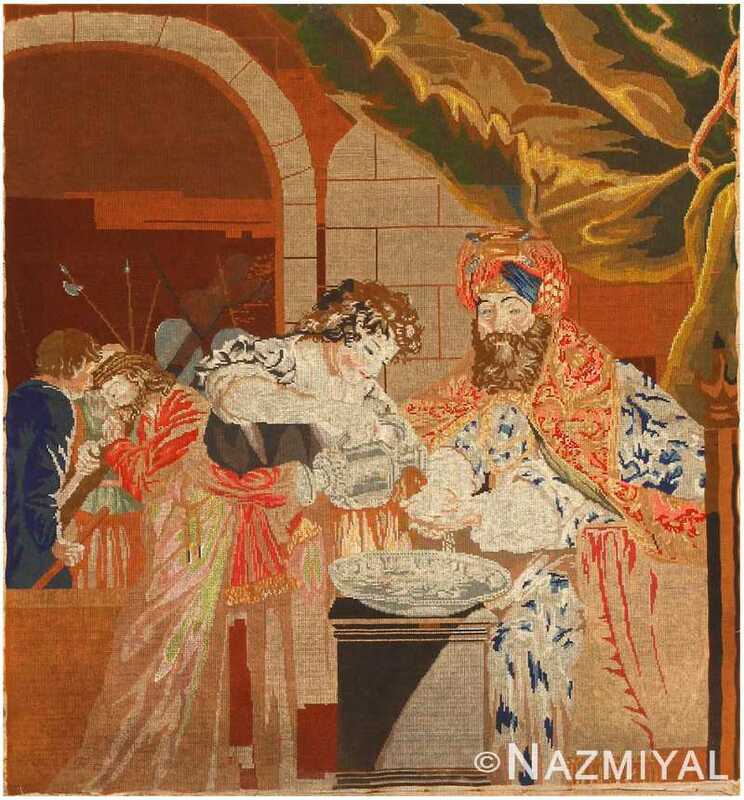 This unique antique English needlepoint rug offers an opportunity to own something truly beautiful and unique. 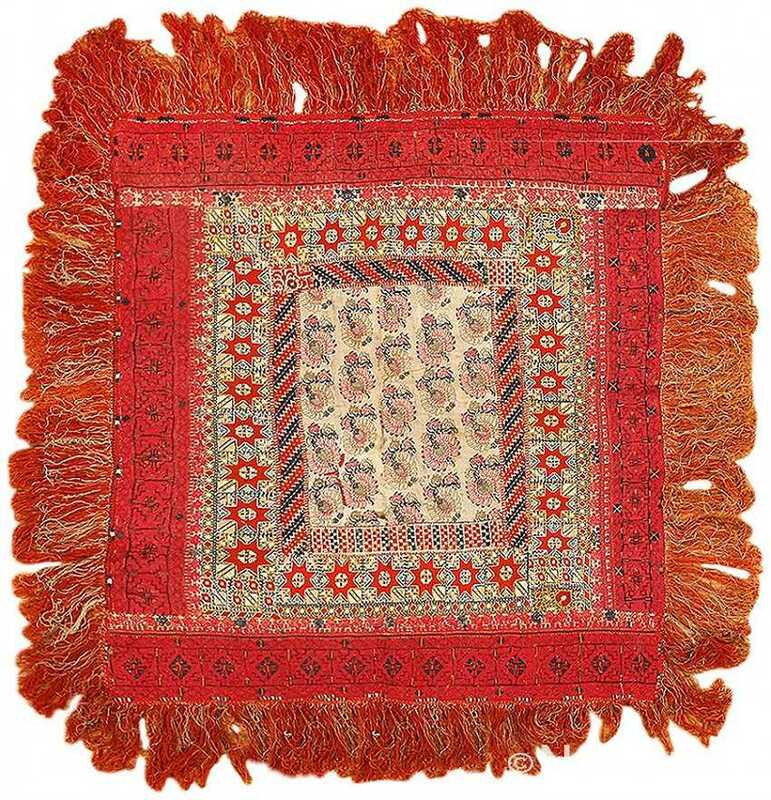 Unique and full of excitement, this charming embroidery is replete with traditional, culturally important symbols and patterns, all presented in a unique format.